The Bynum name is of Welsh variation, taking the Baynham and other forms in fifteenth century England among families of Welsh origin. 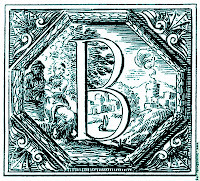 The spelling, Baynham, is believed to be a variant of the Welsh name Beynon which was first used in Welsh counties that bordered England. The derived surname, Baynham developed outside of Wales in the adjoining English border counties. John Baynham, thought to be one of the earliest ancestors of the majority of American Bynums, was born circa 1616 in Virginia. 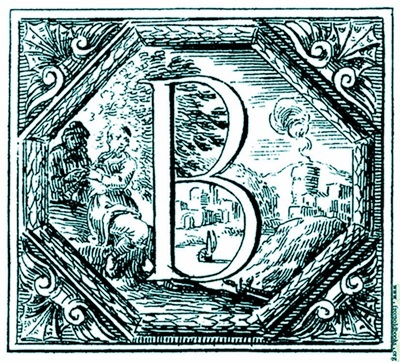 Researchers believe this John Baynham was illiterate and therefore the spelling of the surname was often in phonetic form. Land records show variations which include Byneham, Bynham, Bynam, Bineham, Binam, Bynom, Bayneham, Binnom, Binham, Benham and Benom. 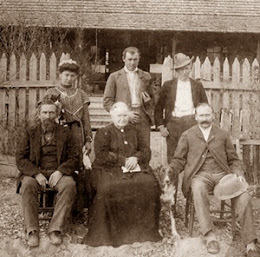 By the nineteenth century, John Baynham's descendants had chosen to use the surname Bynum. Reference: T. E. Morris, “Welsh Surnames in the Border Counties of Wales”, Y Cymmrodor, Volume XLIII (London, 1932), p108 and pp157-159. I believe these may be some of my Steele relatives from Texas. 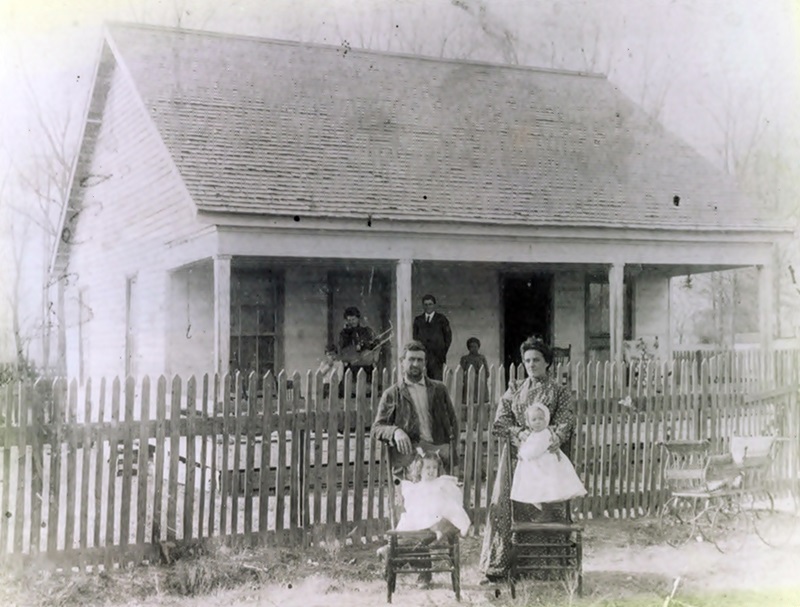 The young girl standing in the center resembles Lena Lucille Greer, daughter of Lydia Frances Steele and Silas Abe Greer of Childress, Texas. Lydia was the daughter of Francis Marion Steele and the granddaughter of Alfonso Steele. If any of my Steele cousins can identify the people in this photograph, please leave a comment or email me at rootsfromthebayou@gmail.com. Annie Jane Sumrall was born in Sumrall, Lamar County, Mississippi on March 13, 1876. 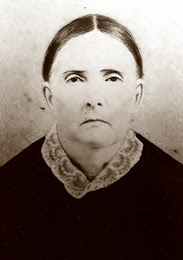 She was the fourth of twelve children born to the marriage of Daniel L. Sumrall and Mary Rebecca Pouncey. Annie was a sister to William Thomas, Mary Elizabeth, Frances, Mary Margaret, Daniel Peter, Lillie, Berry Erastus, Earl Bethea, Hattie, Addie and Allie Mae Sumrall. 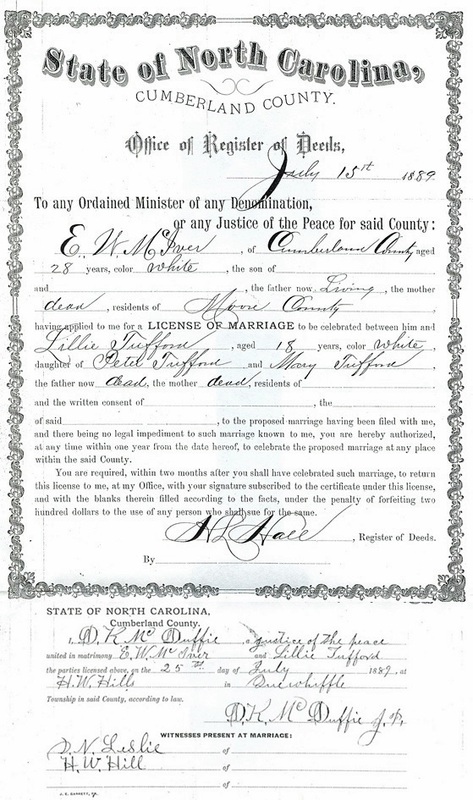 On December 29, 1894, Annie Jane Sumrall married James Benjamin "Ben" Bynum in Lamar County, Mississippi. Annie was my mother's paternal grandmother. 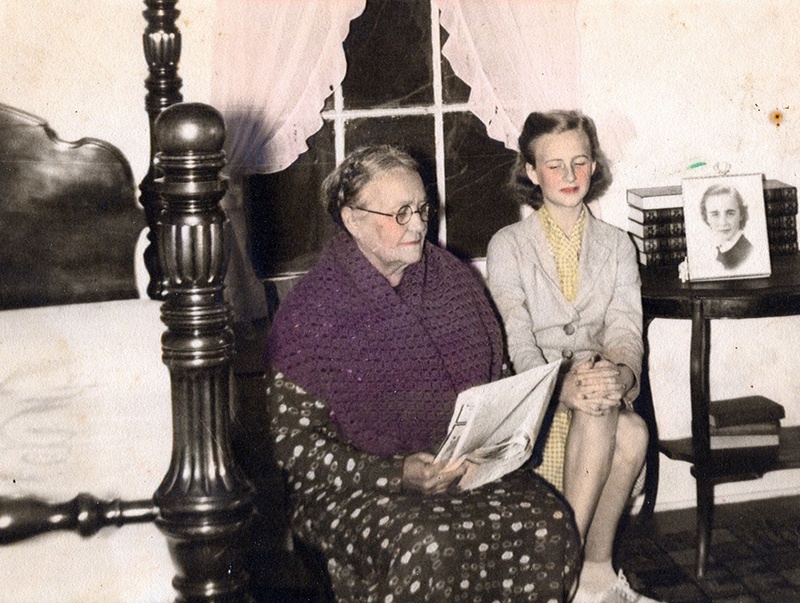 My mother often talked about "Big Granny" and how much she loved to visit her grandparents. As the family would load up to make the journey home, my mother would stick her head out of the car and tell Big Granny she was hungry. Big Granny would take her back to the kitchen for something to eat. My mother's sister, Lois, said they all called my mom "the big gluten" but Big Granny always called her "my good seed." 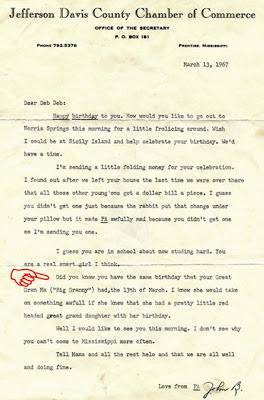 I share a birthday with my great grandmother, Annie. 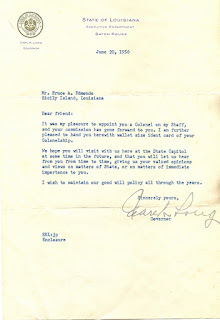 My grandfather, John Buel Bynum referenced this in a letter he sent to me back in 1967. 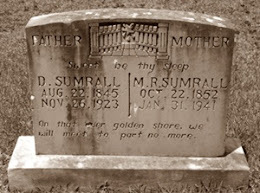 Annie Jane Sumrall Bynum passed from this life on November 24, 1950. She is buried alongside her husband in the Military Baptist Church Cemetery in Sumrall, Lamar County, Mississippi. Granny Bynum loved crafts. Whether it was sewing, ceramics, or decoupaging, she enjoyed them all. The photograph above is of a purse she made for my mother back in 1970. Inside the lid is a special message from Granny Bynum to my mother. It was my pleasure to appoint you a Colonel on my Staff, and your commission has gone forward to you. I am further pleased to hand you herewith wallet size ident card of your Colonelship. 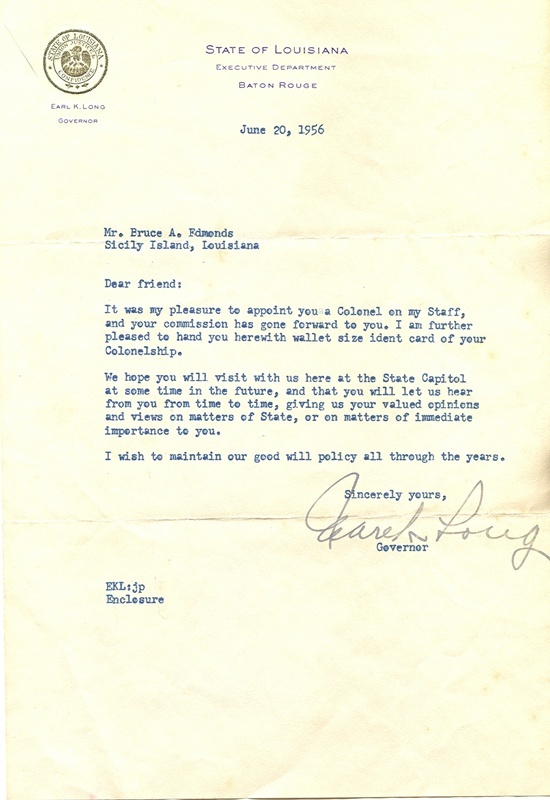 We hope you will visit with us here at the State Capitol at some time in the future, and that you will let us hear from you from time to time, giving us your valued opinions and views on matters of State, or on matters of immediate importance to you. I wish to maintain our good will policy all through the years. 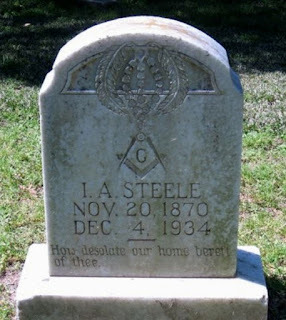 Isham Alfonso "Al" Steele was born in Kosse, Limestone County, Texas on November 20, 1870. 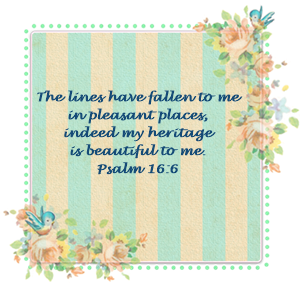 He was the son of Francis "Frank" Marion Steele and Lucinda Chisum and the brother of Lula, Lydia Frances, Louella "Ella", Mary Allye "Madie", and Lena Rhoda Steele. 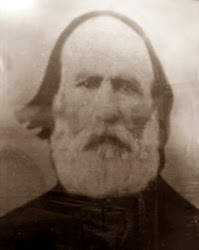 At the age of eighteen, Al Steele left Texas and headed to Louisiana where he would join his uncle, Thomas Jefferson Chisum who had moved to Louisiana several years earlier. The trip on horseback took two weeks to complete. Once Al arrived in Sicily Island he went to work for his uncle as a clerk in his general merchandise store. On April 13, 1898 he married Mary Virginia "Mollie" Blackman and made Sicily Island his home. Children born to this marriage were Edna, Mary Allye (Edmonds), Clara Lucille (Ogden), and Lena Juanita (Peck). 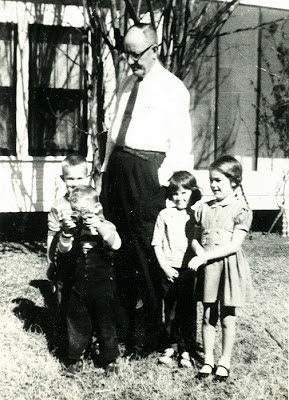 Al and Mollie also raised Theodore "Teddy" Stockmon after the death of Teddy's mother. 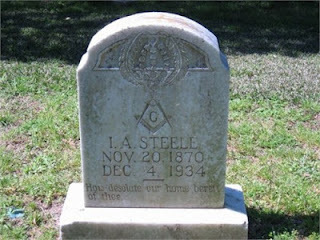 Around 1890 Al Steele had his wife's grandfather, James Luther Smith, build a house for him and Mollie. The house originally had four bedrooms with a front and back porch. Additions were made to the house several years later, including a partially raised storm cellar that sat to the side of the house. This house remained standing until it was destroyed by a fire in the early 1990s. I grew up in this house and spent many fun-filled days playing out around the pecan trees that my great-grandfather, Al Steele planted back in the late 1800s. Al built and operated a general merchandise store before selling it and moving to Childress, Texas in about 1910. The family remained in Childress for a year before moving back to Sicily Island. After returning to Sicily Island, Al Steele purchased 140 acres of land from Mr. Allie Hopkins where he built another house and farmed the land. 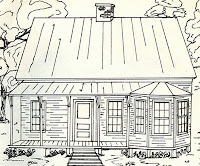 Around 1917 Al moved his family back to the house in town and built another general merchandise store. This store was later owned and operated by Al's son-in-law, Wes Ogden. Isham Alfonso "Al" Steele passed from this life on December 4, 1934. Thomas Jefferson Chisum died three hours after his nephew who had followed him from Texas to Sicily Island, Louisiana many years before. Al Steele is buried alongside his wife in the Old Pine Hill Cemetery in Sicily Island, Catahoula Parish, Louisiana. Mary Virginia "Mollie" Blackman was born in Harrisonburg, Catahoula Parish, Louisiana on September 17, 1876 to the marriage of Virginia "Jennie" Smith and Joseph A. "Frank" Blackman. Jennie died when Mollie was only two months old and Frank died two years later. 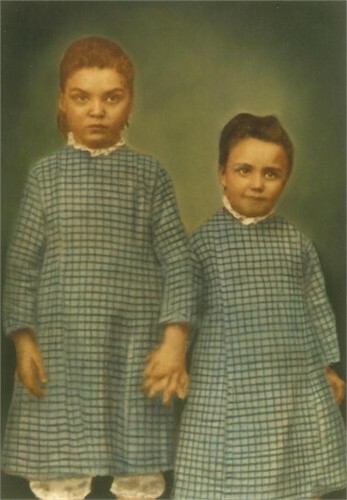 Mollie and her older sister, Nettie, were reared by their maternal grandparents, James Luther "J. L." and Henrietta Smith. At the age of twenty-one, Mollie married Isham Alfonso "Al" Steele, of Limestone County, Texas. 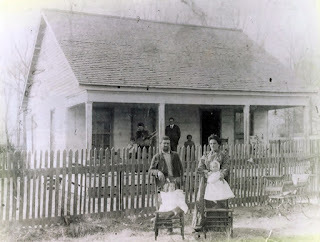 The ceremony was held on April 13, 1898 in the home of J. L. and Henrietta Smith and was performed by Rev. T. H. McClendon. 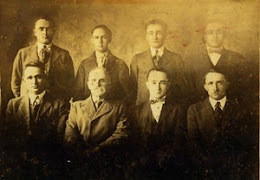 Witnesses were J. D. Usher, C. W. Fairbanks, and J. H. Knight. Mollie and Al Steele also reared Theodore "Teddy" Stockmon Steele (1909-1980) following the death of his mother, Laura Margaret Stockmon. Although the 1920 census lists Teddy as an adopted son, he was never legally adopted by Mollie and Al Steele. Mary Virginia "Mollie" Blackman Steele passed from this life on July 19, 1945. She is buried alongside her husband in the Old Pine Hill Cemetery in Sicily Island, Catahoula Parish, Louisiana. Mollie Blackman Steele was one of my paternal great-grandmothers. 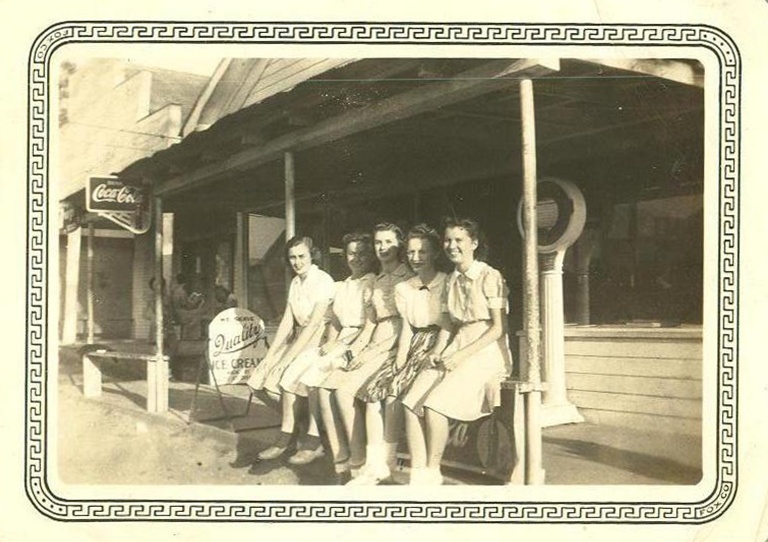 My maternal grandmother, Flora Jane McIver Bynum is standing on the back row, second from the left. 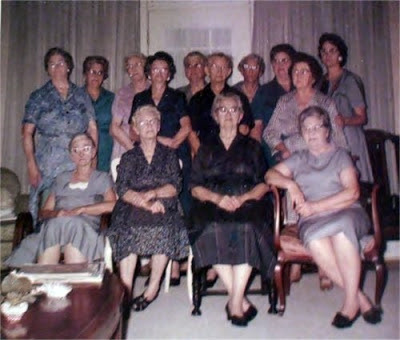 Below is a list of members in attendance when the photograph was taken as well as a list of members who were absent. 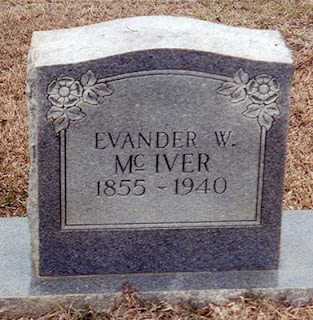 My great-grandfather, Evander Wilder McIver, was born in North Carolina on August 22, 1855 to the marriage of John Roberson McIver and Lucinda Wilder. Evander, who descended from the Scottish Clan Maciver, was the seventh of eight children born to John and Lucinda. He was a brother to John Wilder, William Neal, Kenneth Wilder, George Wilder, Matthew Wilder, and Lucinda McIver. The 1860 census shows Evander and family living in Cumberland, North Carolina. 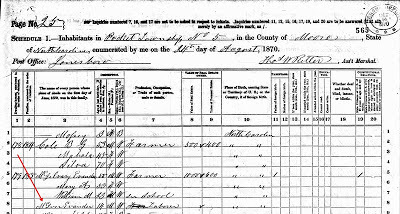 In the 1870 census, Evander is listed as a laborer living with the McGilvary family in Pocket, Moore County, North Carolina. The 1880 census shows Evander and wife Lucy (believed to be Lucy Blaylock) living in Oakland, Chatham County, North Carolina. 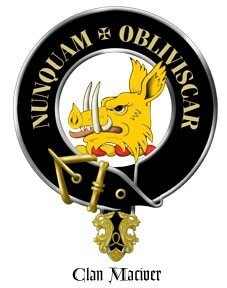 Also living in the same household were his father, John Roberson McIver and brother, John. 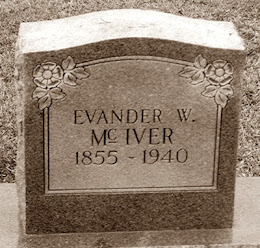 Evander and Lucy had one son, Donald John McIver, who was born on October 16, 1880. It is assumed that Lucy died at some point after Donald's birth as records show a second marriage for Evander in 1889. It should also be noted that records indicate son, Donald, moved with Evander and his second wife to Mississippi in the early 1900s. 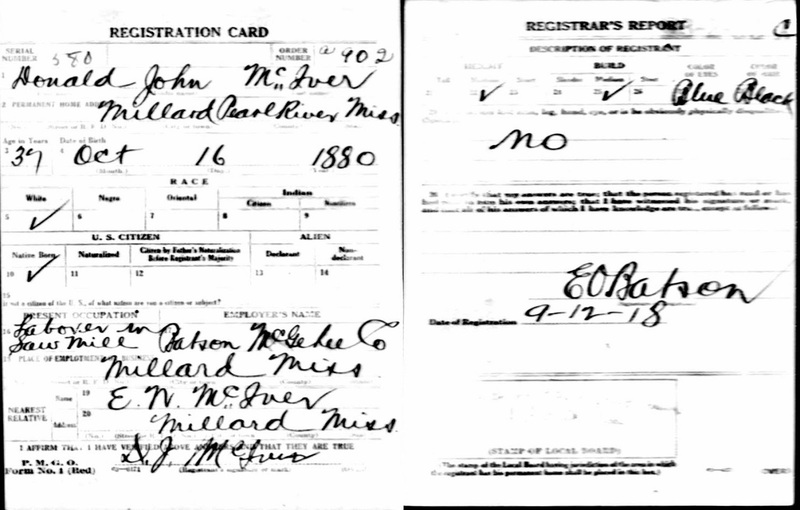 His 1917-1918 WWI draft registration cards show a residence of Millard, Pearl River County, Mississippi. 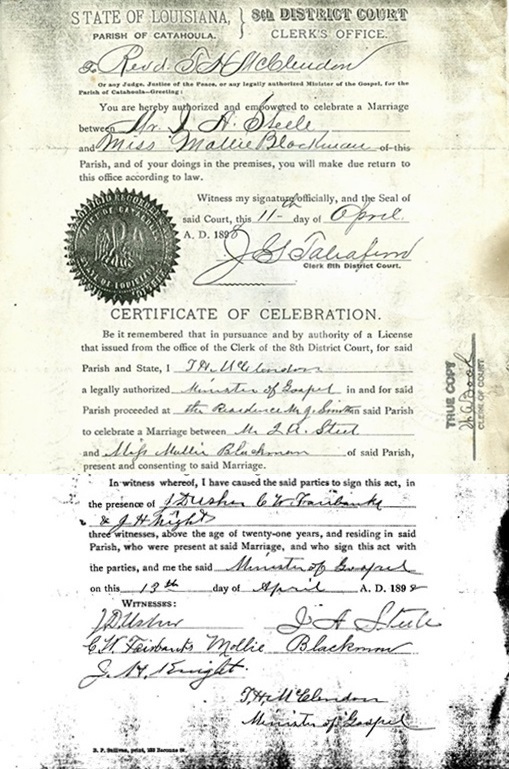 Evander's second marriage took place on July 25, 1889 to Lillie Tufford. 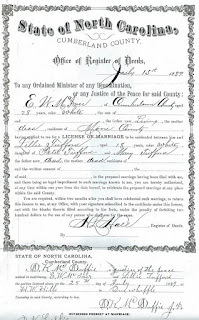 The wedding ceremony was held in the home of H. W. Hill in Quewhiffle, Cumberland County, North Carolina. The Justice of the Peace, D. K. McDuffie performed the ceremony with witnesses listed as D. N. Leslie and H. W. Hill. 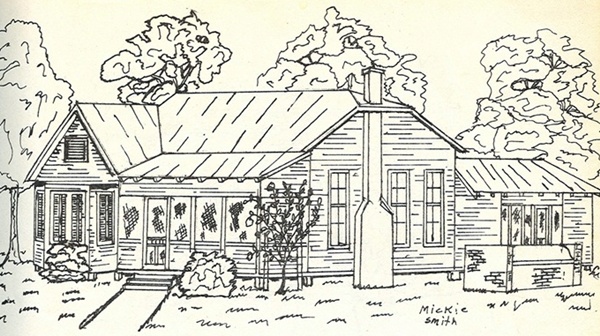 Following their marriage, it is believed by family that Evander, Lillie and possibly Donald lived in Southern Pines, North Carolina; though no records have been found to confirm. 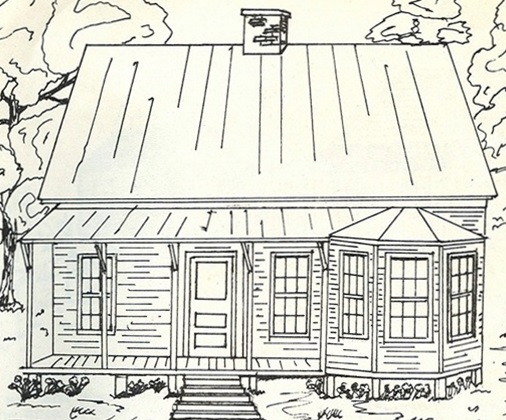 The next available census record shows the family living in Pearl River, Mississippi in 1920. Evander Wilder McIver passed from this life in 1940. 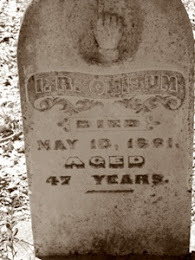 As I have been unable to locate a 1940 census record for him, I am led to believe that he died prior to April 1 census. He is buried in the Military Baptist Church Cemetery in Sumrall, Lamar County, Mississippi. 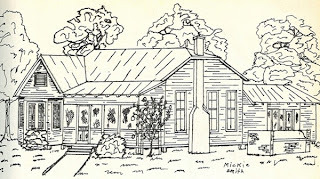 One of Evander's granddaughters remembered that Evander was of the Presbyterian faith and that their house in Mississippi resembled the family home on the once popular television show, The Waltons. He was called grand-daddy by his grandchildren; all of whom loved to spend the night with him. As Evander aged, he lost his eyesight. Grandchildren remembered Grand-Daddy Evander rubbing the tops of their heads as a way of telling them apart. A special "thank you" to Margo Necaise for sharing family information on Evander. 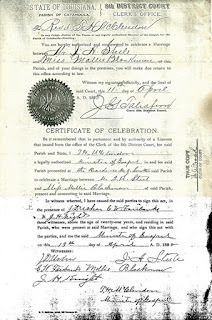 Lillie Tufford was one of my maternal great grandmothers. 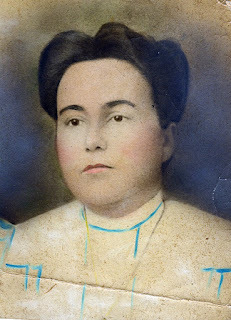 She was born in Raeford, Hoke County, North Carolina on April 12, 1871 to the marriage of Peter Tufford and Mary Hill. 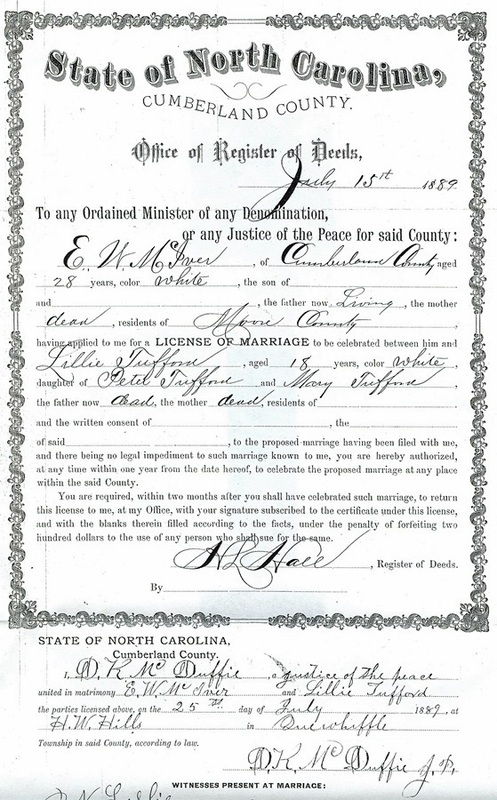 On July 25, 1889, Lillie married Evander Wilder McIver in Quewhiffle, Cumberland County, North Carolina. The ceremony took place in the home of H. W. Hill and was performed by D. K. McDuffie, Justice of the Peace. 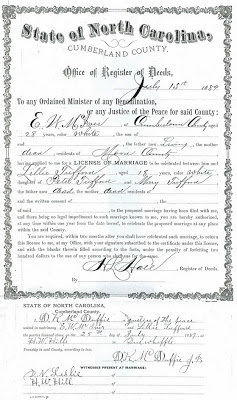 The marriage certificate states that Lillie's parents were both deceased. Family researchers believe that Lillie's mother, Mary, died shortly after Lillie's birth and that her father placed her in an orphanage. 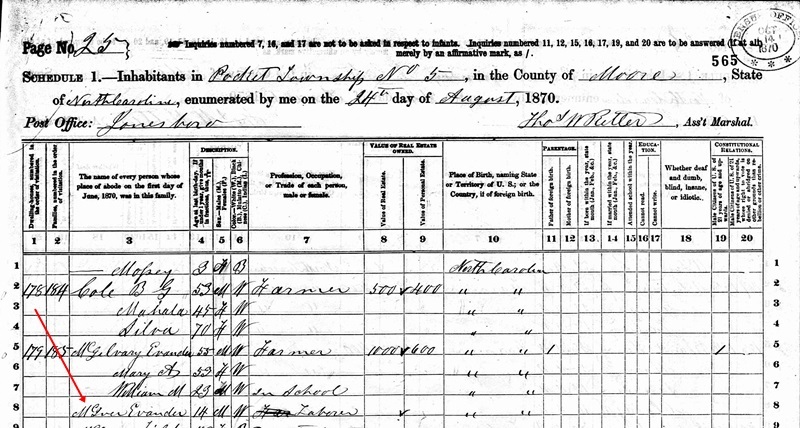 Canadian census records show that Peter Tufford traveled back to his birthplace after Lillie's birth in 1871. 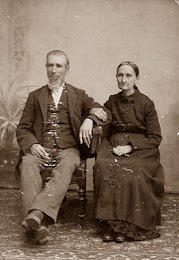 He lived in the Ontario area for several years before moving to North Branch, Michigan where he died in 1890. It is also believed by some family researchers that a cousin who operated a store took Lillie out of the orphanage. She supposedly lived with this cousin's family until she married. Could this family have been that of Henry William Hill? Is this Henry William Hill the same H. W. Hill in whose home Lillie and Evander were married? The search for Lillie in the 1880 census has thus far proved unsuccessful. Henry William Hill was a brother to Mary Hill and therefore, an uncle to Lillie. 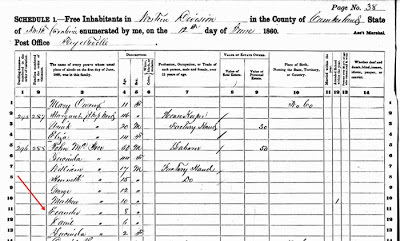 The 1870 census shows Henry living with his mother, Mary Woods Hill, in Cumberland County, NC. His occupation is listed as a store clerk. 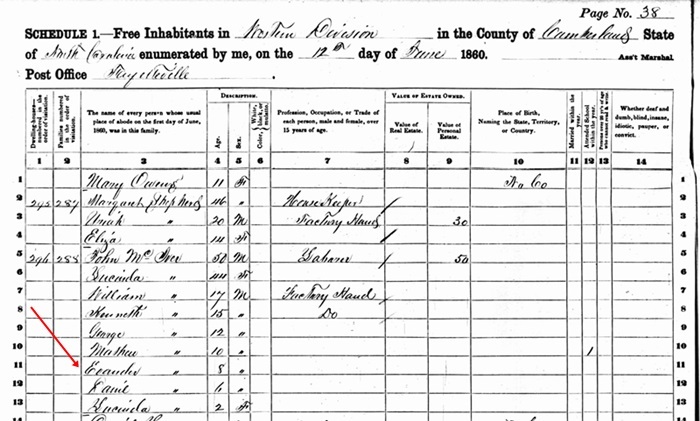 The 1880 census shows him living with his wife, Annie Benoy, in Moore County, NC. His occupation is listed as a merchant. 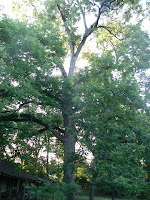 It is believed that Lillie and Evander lived in Southern Pines, North Carolina after their marriage. 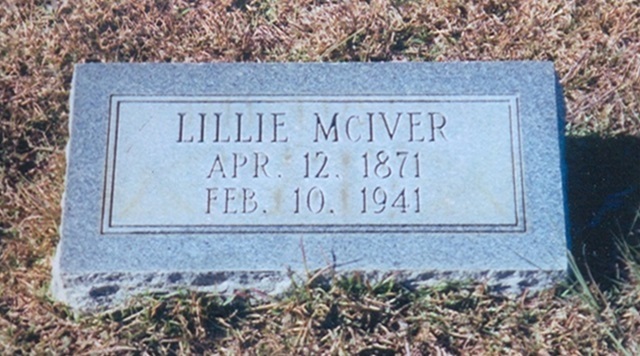 They moved to Mississippi prior to 1902 and the death of their daughter, Arabelle Phillips McIver on August 12, 1902. Family members report that Evander traveled to Mississippi first and the family followed on a train. 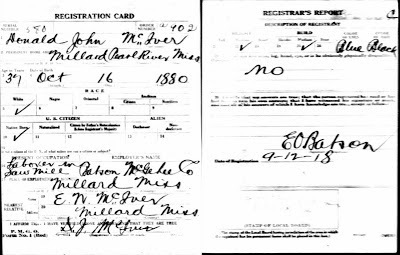 The earliest census record for Lillie found to date has been the 1920 census which shows Lillie, Evander and children living in Pearl River, Mississippi. Lillie passed from this life on February 10, 1941 and is buried in Caesar Cemetery in Pearl River, Mississippi. It is remembered by family that she was a good cook, especially tea cakes with syrup. 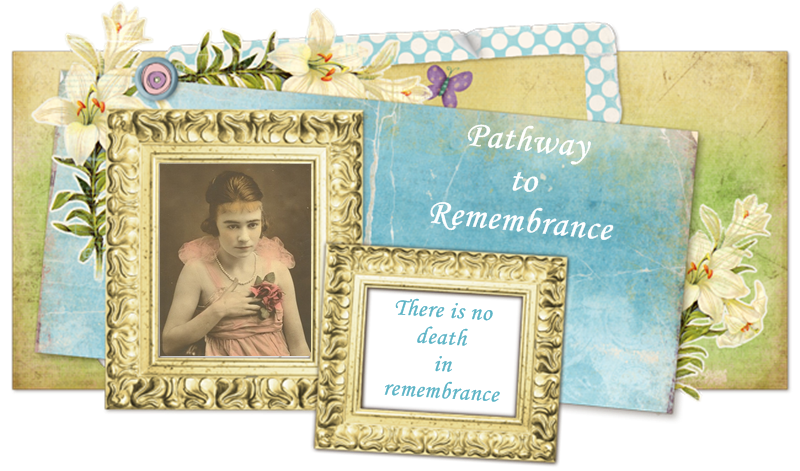 A special "thank you" to Margo Necaise for sharing family information on Lillie.